Minneapolis, MN, 2016-Nov-02 — /EPR Retail News/ — If you geek out whenever you get a glimpse of cool, new tech devices, there’s a new page on BestBuy.com that’s sure to spark your interest. 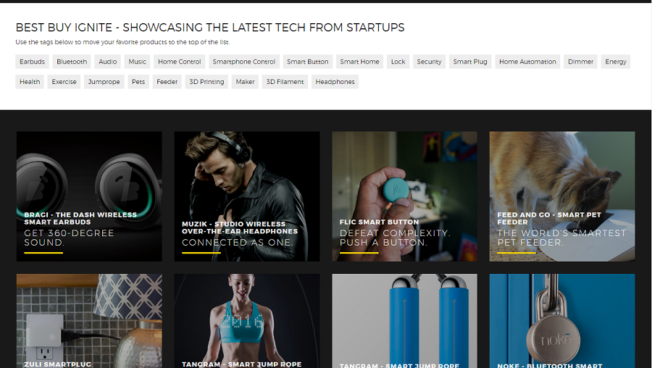 We have introduced a Best Buy Ignite web page dedicated to the latest and greatest tech from startups. You can browse, learn about and shop for a variety of innovative gadgets — everything from wireless earbuds to a 3-D printer to a smart jump rope (yep, that’s a real thing). The new page is the next step in our broader Best Buy Ignite program. It launched last month to give customers access to even more of the newest tech from some of the most inventive entrepreneurs and startup companies in consumer electronics. The Best Buy Ignite page looks different from what you’ll find elsewhere on BestBuy.com. The home page features all of the various products, which you can sort by category tags at the top of the page. And the individual product pages feature big, bold photos, along with product specifications. As part of Best Buy Ignite, we’ve also added dedicated space for startup products inside our new store in Mountain View, California, in the innovation hub of Silicon Valley. There, customers can discover some of the newest tech products on the market, including crowdfunded gadgets, state-of-the-art wireless headphones and wearable tech from Under Armour. We’re also partnering with PCH, a company that works closely with startups to help get their products into consumers’ hands faster and at a lower cost. Entrepreneurs and startups interested in participating in Best Buy’s Ignite program can sign up now at www.bestbuy.com/ignite/vendors. You can find an array of other startup products at hundreds of Best Buy stores nationwide. Examples include the Anova precision cooker and Fizzics draft beer system, Keen Home smart vent, Petcube pet camera and Luma Home Wi-Fi system.  This entry was posted in Business, Electronics, Marketing, Online Retailers, Online Shopping, Retail, Retailer, Technology and tagged Best Buy, Ignite web page, latest and greatest tech from startups. Bookmark the permalink.